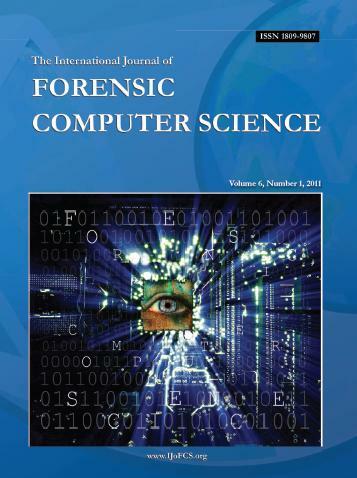 The International Journal of Forensic Computer Science publishes original research in the area of Forensic Computer Science. So, this journal is devoted to publishing original papers in the various branches of Forensic Computer Science, serving as a new medium for the international scientific community, research centers, universities, and law enforcement agencies. The IJoFCS main goal is fostering development in Forensic Computer Science, and developing and exhibiting the widest possible range of new research in the field of Forensic Computer Science, as well, by means of encouraging researchers from all over the world to publish their work on this venue. This journal has an international committee of reviewers from several countries. In addition, papers are rigorously reviewed by three committee members, experts on the matter discussed in such papers. Only the papers with recognized scientific rigor are accepted, and published in this journal. Prospective authors are welcome to submit their papers to this Journal, using this website. As IJoFCS has enough financial support, we don't charge any publication fee from authors. The IJoFCS was founded in 2006 by Professor Paulo Quintiliano, this journal's Editor-in-Chief, on the same time he founded The ICoFCS (The International Conference on Forensic Computer Science). He and his team launched the journal and the conference in Brasilia, Brazil, during the Third International Conference on Cyber Crime Investigation - ICCyber 2006. This Journal is indexed by Qualis/Capes, in the areas of Computer Science, Electrical Engineering, and Geology, and also has joined DOI and CrossRef, so that all papers have DOI numbers. To learn something else about the IJoFCS story, click here.